Over the past two seasons, the Bulldog football team had the opportunity to see both ends of the spectrum that is the Class 6A Eagles of Hobbs. The takeaway was essentially this: Win the war in the trenches, win the game. In 2014, under a steady downpour of rain at Watson Stadium, the ‘Dogs failed to match the physicality of the Eagle lines, and the result was a 44-20 loss. Last year at Bulldog Bowl, Artesia rose to the challenge, coming from behind to post a 38-28 victory. 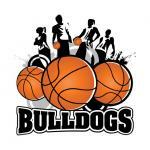 “We have to win that battle,” Bulldog head coach Rex Henderson said Thursday. “That’s something they’re really pushing, so we have to be more physical on offense than they’re being, and on the defensive line, if we can pressure up front and keep their quarterback in the pocket but under pressure, I think it’s going to go a long way. Both the Artesia offensive and defensive lines performed well last week in their opener against Carlsbad, and Henderson says not just maintaining but improving that level of play has been a focus this week in practice. The Eagles competed to a near draw with Clovis in the first half of their opener last week but would struggled in the second half, falling 46-10. “That score doesn’t look as impressive, but it was 13-10 at halftime,” Henderson said. “They had a couple of injuries in the first half, came out in the second half and I guess didn’t handle that well or maybe Clovis just made that good of adjustments. Offensively, the ‘Dogs will have to be ready to contend with a varied attack by the Eagles, as well as their no-huddle strategy. The Eagles lost talented quarterback Isaac Amaya and running back Jeremy Padilla to graduation last year but return receivers Aaron Compton – 4-66 receiving with two touchdowns against Artesia in 2015 – and Cason Clay – 8-62 receiving with one TD – to a unit now helmed by 6’2”, 182-pound junior Gavin Hardison. “Hobbs is quite a few years into Coach (Charles) Gleghorn’s system, and he does a good job of prepping them offensively,” said Henderson. “They’ve been innovative and have done some things different than a lot of people, so they give you a lot of looks. Hobbs also graduated the bulk of its defense from last season but its physical philosophy remains the same. Overall, Henderson feels the Bulldogs are ready after a solid week of practice to build on a quality opening performance. “I think our coaches did a good job this week of getting some people drilled on the things that we didn’t do well a week ago and then working on some of those things we have to continue to make progress in,” said the coach. “At the same time, you’re installing a new game plan and transitioning from more of a run focus last week to more of a pass focus this week, and I think they’ve done a good job of getting ready for that.